OK, I know this will sound creepy, but it's an honest question. Is there any way I could get a message to Andy through an agent or record company or something? We were pretty good friends back in college and I haven't seen him since. I'm going to the Austin show and would like to say Hi if I could. 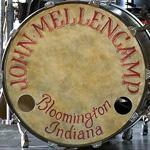 If you email me a message at help@mellencamp.com I can route it to Andy.